I really like the reverse side of the Dance Studio Jacket but sadly it doesn’t have pockets on both sides. 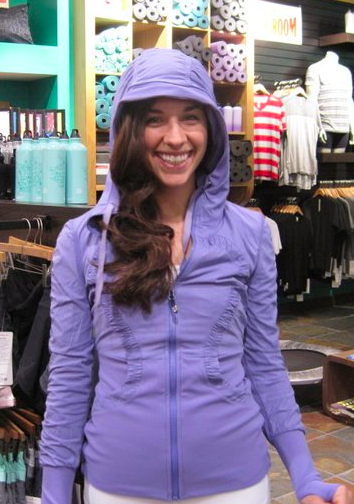 My Aura Jacket is the same way and I find I wear it mostly with the side that has pockets out only because I really miss the pockets if I don’t. I’ve read a lot of reviews that this jacket fits quite slim and some prefer to size up. 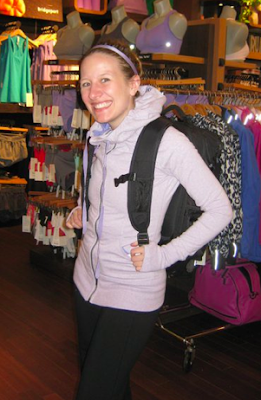 I’d seen a product alert for the Heathered Grapeseed Sing Floss Travel Jacket and really liked it a lot. It was a must have based on that picture. Now that I see it in the facebook albums it looks a lot lighter then the product alert and so I’m happy to pass on it. I’m definitely interested in the Heathered Navy though. 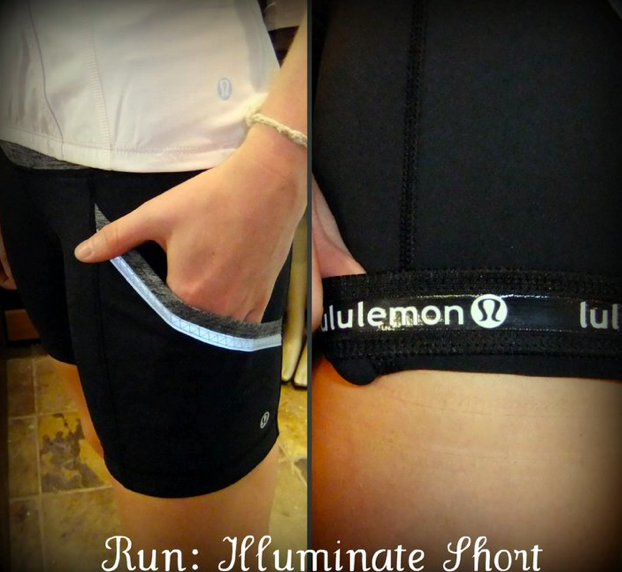 I’m really liking the Illuminate Shorts. Love the pockets on the thigh for gels and the reflective tape is a bonus. I really liked last years version but passed because I didn’t have a need for a luxtreme t-shirt. I love that this years version has circle mesh at the chest above the sweatheart neckline. 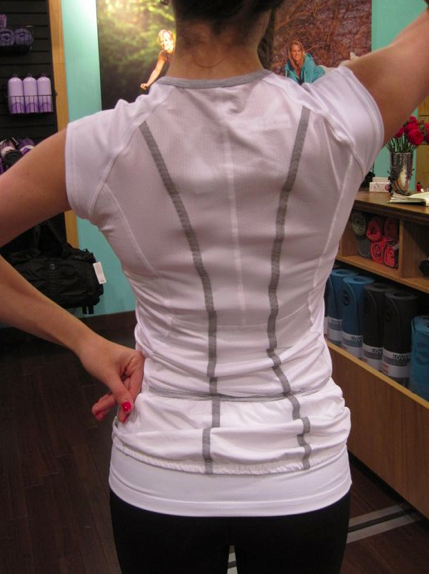 If I worked out in a very air conditioned gym I could see myself wearing something like this, especially to lift weights. 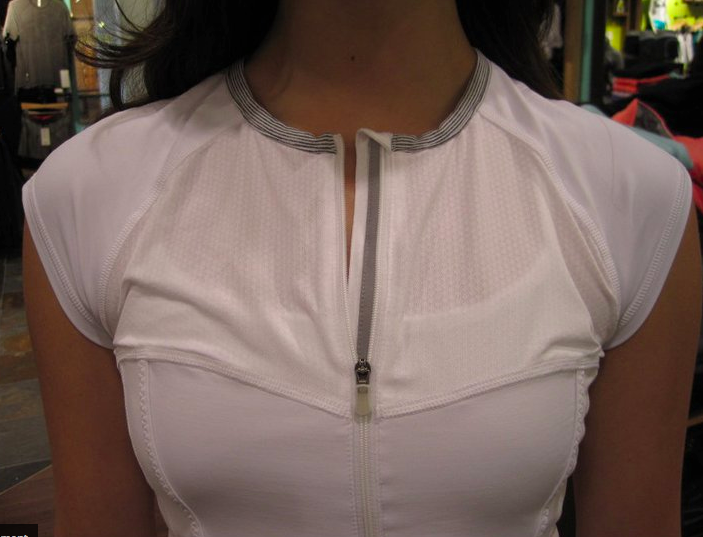 I think a luxtreme running/cycling dress is really silly and I know I wouldn’t wear it but then again, thats probably what was said of the very first run skirts. 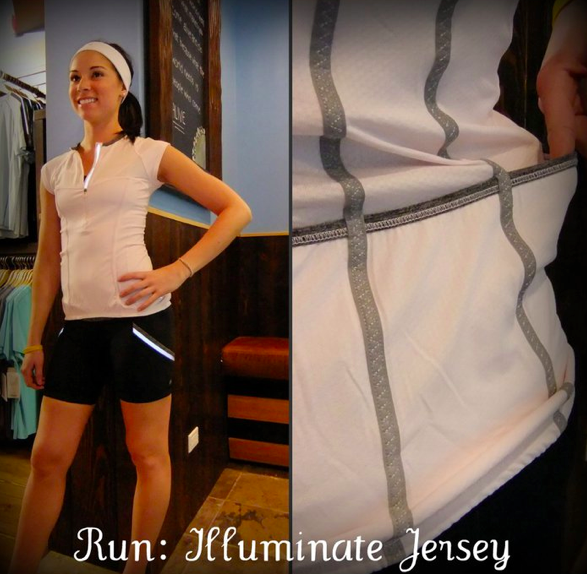 I prefer the Illuminate dress in the Coal/Static colorway to the White version. 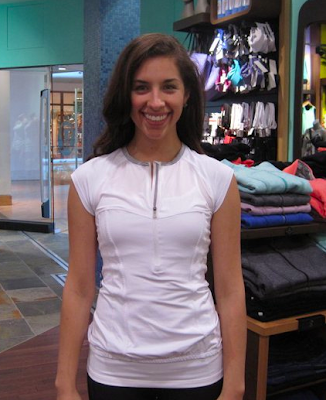 I wonder if the white version of this dress would be as sheer as the light colored luxtreme run pullovers. 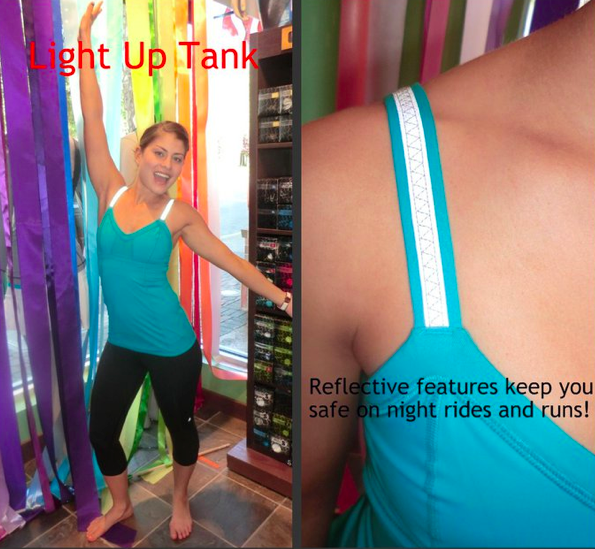 I had the Light Up Tank from last year in Pig Pink and Wish Blue and did really like them a lot for running. I ended up selling mine as they got too big and I don’t feel like replacing it this year even though I really like the Surge Blue one. 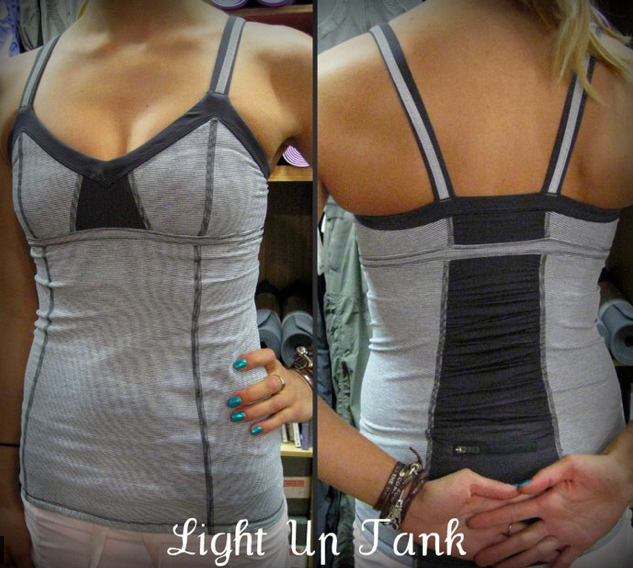 I just prefer braless tanks for running and luon or circle mesh over luxtreme. I think $98 is pretty hefty for this dress, particularly since it’s more a too/from and not technical wear. 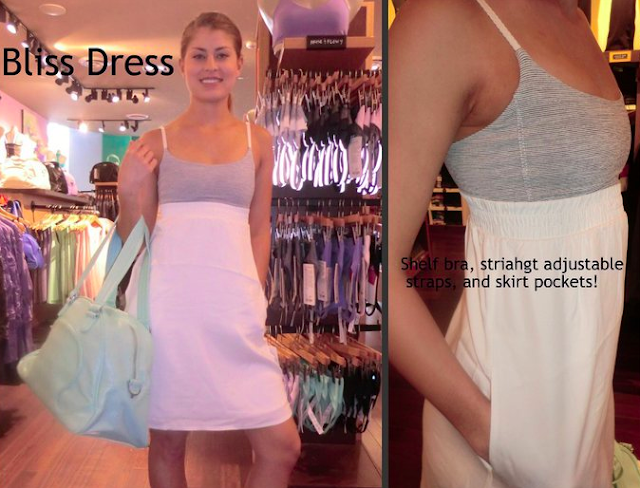 The fabrics are moisture wicking (Luxtreme/Tencil) which is nice for summer. I think the reason for the pricing is the Tencil Silk used on the bottom portion. I have mixed feelings about the Tencil. I love the feel of it but it’s quite wrinkle prone, requires fluffing up in the dryer otherwise it’s very stiff after a washing, shows sweat and doesn’t have the stretch that other fabrics have. 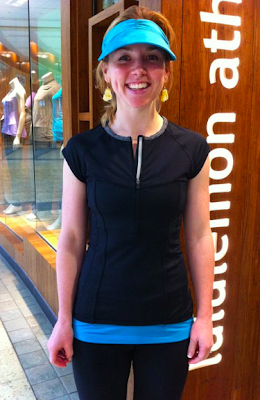 I do like the Bliss Tank and dress but am not excited by them. 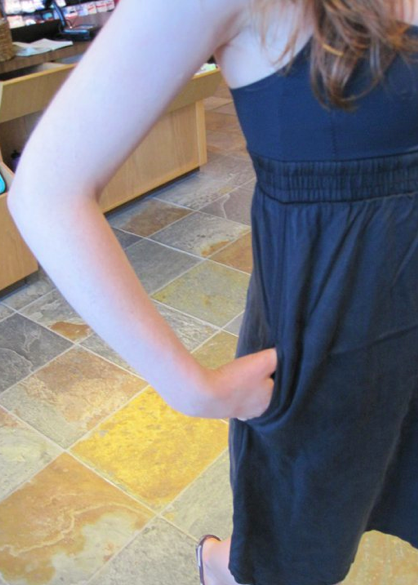 Pockets on dresses and skirts are always a good idea though. I like the Bliss Tank in Heathered Sand Dune. It’s unusual. I like it in Black the best I think. I don’t use sunblocker tops in the summer but I do really think this pink mist one (and also the Blurred Grey one). It’s sheer but it looks pretty when you layer it well with a nicely contrasted color and shaped bra. I would probably wear the Pink Mist Energy Bra underneath. "Heathered Wren Savasana Wrap :("